They usually say that magic is a science we don’t yet understand. Others go beyond that and state that magic is a bridge which connects the world that is visible with the invisible one and that, at the same time, it gives us the chance to learn about both of them. Perhaps. Or perhaps not, who knows. What we are sure about is that in Madrid you can enjoy a fantastic magic show that will make your hairs stand on end. The power of magic: Abracadabra! We are talking about one of the world’s most amazing magicians, Antonio Díaz. 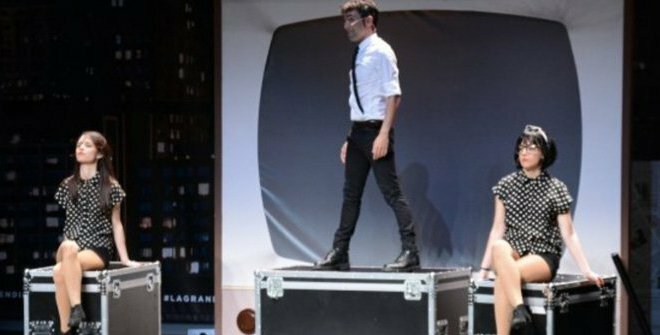 Celebrities such as Antonio Banderas, Neymar Junior and Stephen Hawking have all enjoyed the wonderful show which this illusionist performs in front of your eyes. You will not believe what you are seeing! Is it real or not? The show regularly increases the difficulty of its tricks and you will not be able to take your eyes away from the stage because you will not want to miss a single second of the fantastic show created by Mago Pop. His TV programme is breaking audience records and enjoying a huge degree of success in over 150 countries around the world. Mago Pop is the world’s most prestigious magician right now and he is back with his amazing new show Nada es imposible (Nothing is impossible), a show full of magic, unique games and illusions filled with fantasy. Let yourself be swept away by this magical art just like when you had a card trick played on you as a child and, much to your surprise, they pointed out the card you had chosen. Due to its complexity, the show will only be performed in Madrid, on Gran Vía to be more precise, until October 14. Ticket prices range from 21 to 38 euros. There can be no excuses, you can definitely find some time in your busy schedule between Wednesday and Sunday to witness this fantastic event.